Photography in courtesy of tokyobike and Kyrre Kristoffersen. 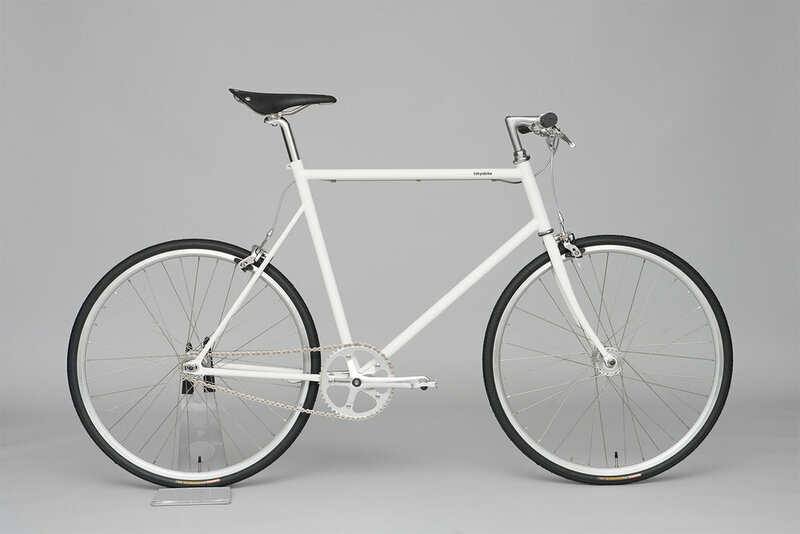 tokyobike has collaborated with three award-winning designers and is releasing their very first Designers Series. 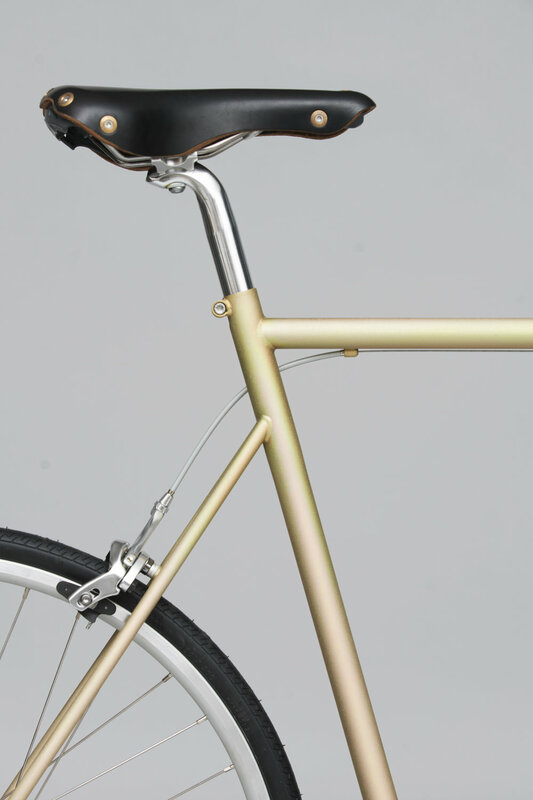 Everything Elevated, Joe Doucet, and Nick and Rachel Cope of Calico Wallpaper has created their very own distinct take on tokyobike, reflecting each designer’s approach and aesthetics. In an interview with A New Type of Imprint Volume Nine, you could read about how the guys behind Everything Elevated see every project as an opportunity to elevate their collaborators potential to grow through high quality work. They’re unique approach, applicable across industries, uses design as a tool to communicate the essence of ideas, materials and stories for brand differentiation. And now they can add a bike to their list of designs. Striking a unique balance between handmade and hypermodern production, the tokyobike x Everything Elevated Single Speed has undergone a unique chemical passivation process that not only protects the metal with an always unique chromated color pattern, but it also gives the bike a true Everything Elevated-signature. 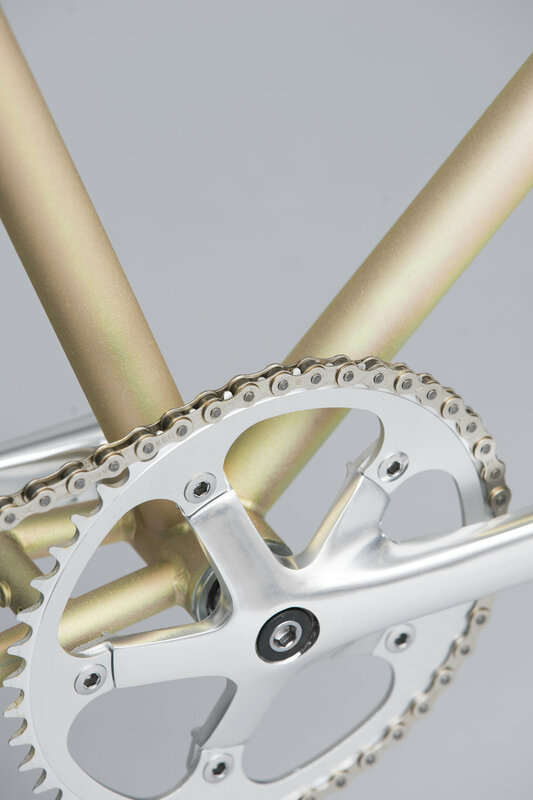 We couldn't agree more with tokyobike, saying that the ethereal finish, combined with the simplicity of the track inspired components makes this bike suited for a race around the moon. 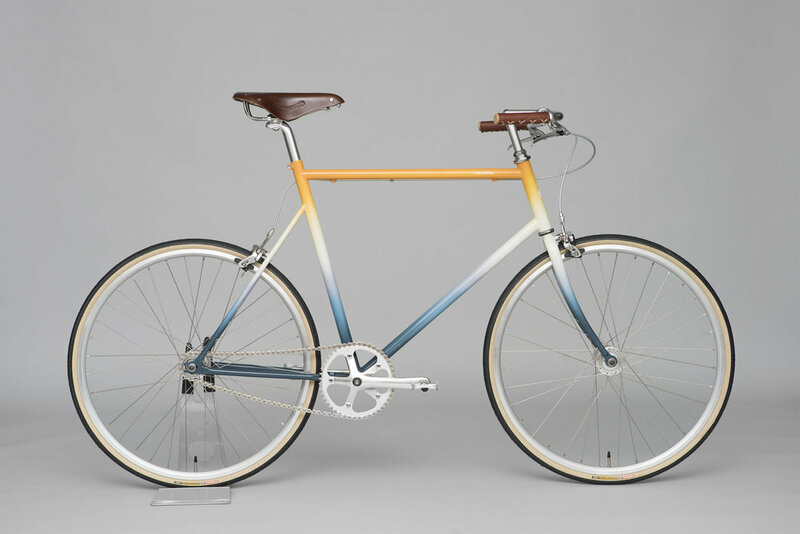 Nick and Rachel Cope, husband & wife co-founders of Brooklyn based Calico Wallpaper, has translated Calico Wallpaper’s signature Aurora Wallpaper onto the bike. 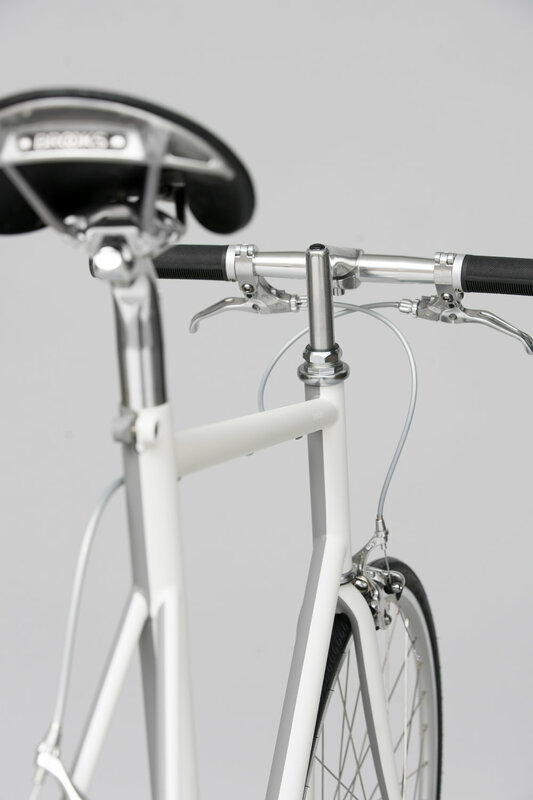 Joe Doucet’s tokyobike is an elegant solution for the indecisive cyclist — a bike which is one color when viewed from the right and another when viewed for the left. From being the strange kid at school often seen with a sketchbook and a pencil in his pocket, inspired by Nina Turtles, Saber Riders and video games—to being a grownup exploring nebulous stories and scenarios. Was Timo Lenzen born to become an illustrator? The grandson of a noted printer, Spanish-born, NYC-based graphic designer Alex Trochut forged his own path in the field, with little knowledge of his family pedigree. Instead, he largely relied on his own instincts and interests, a formula that has made him sought after by the world’s largest brands. Every building, in a certain moment in time, has something special to express, says Bucharest based photographer Bogdan Anghel, and he want to be there to capture it with his 35mm and translate it to the viewer in his very own way. From the history of the Pet Rock (Gary Dahl’s invention which grew to become the most popular gift during the 1975 holiday season), to a Beer Selfie Stick and a VR doorbell, to a bunch of other reasons why being completely useless is a matter of reclaiming creativity and gaining true greatness—of sorts. Graphic Brutalism is one of the latest shifts challenging the established order in the field of graphic design and, as in the case of most emerging trends, opinions about it differ widely. Is it here to stay, or is it just another passé? “If we do not stand together, this cycle of violence will never end. I believe we stand at a crossroads, and that we have to work for our collective future and humanity.” Meet the brave and talented filmmaker Deeyah Kahn, who just received her second Emmy Award! South-London based Kelly Anna is celebrated across the globe for her bold and colourful illustrations. “The figures are often a portrayal of how I see women. God like, very strong mentally and physically.” PREACH! “Why am I so addicted to success? What am I trying to prove?” Chief Editor of A New Type of Imprint, Veronica Mike, on the goal-driven career path of a creative, the power of commitments and knowing when to let them go. In the heat of Nike’s ‘Just Do It’ 30th anniversary campaign, we give you a solid essay by Tom Morgan on brand activism: The 21st Century brands, big and small, local and global, are starting to voice a new type of opinion, fast becoming leaders of change. Are brands shaping our future?